cdcindonesia.com -We continue back job information coming from one of the job information coming from one of the companies engaged in the field of hospitality, namely:PT Angkasa Pura Hotel - APH or most commonly known as "Angkasapura Hotels" is a rapid growing company in Indonesia that deals with hospitality industry. Angkasapura Hotels engaged in providing travel accommodation. Its business include hotel facilities, restaurant, CIP Lounges and the other hospitality services. PT Angkasa Pura Hotel is a member of state-owned airport operator PT Angkasa Pura I (Persero) or Angkasapura Airport Group. 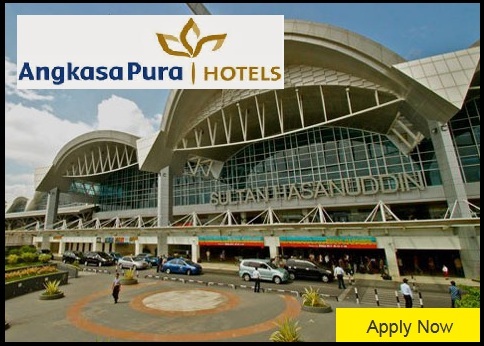 As of December 2015, Angkasapura Hotels is 99.97% owned by PT Angkasa Pura I (Persero) and 0.003% owned by PUSKOPKAR AP I. Headquartered in Jakarta, Angkasapura Hotels runs its business through 5 hotels porfolios (in operational and under development), comprising Hotel APH Rawasari Jakarta, Airport Hotel Novotel APH Bali, Airport Hotel APH Balikpapan, Airport Hotel Ibis Budget APH Makassar, and Airport Hotel APH Manado.